Fitness Room with state-of-the-art equipment. 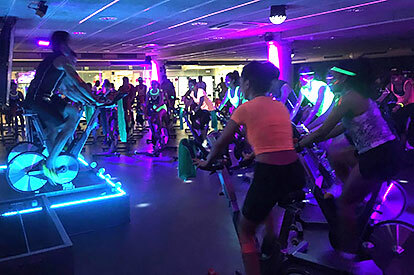 SpinDiR Studios The latest trends in Indoor Cycling. Indoor Swimming Pools Unique water experience with chromatic lights. DiR Campus Box The DiR Campus training Box. Padel Tennis Courts Discover our padel tennis courts. Free Weights Area State-of-the-art muscle-building facilities. Outdoor Swimming Pools Enjoy the water and the weather. Solariums Relax and soak up the Barcelona sun at a DiR solarium. Thermals Baths Relax in our wet areas. Boxing Studio Train with elite professionals. Pilates Studios With dedicated machinery and apparatus. Changing Rooms With everything you could possibly need. Activity Studios To enjoy a wide variety of activities. Functional Training Area The latest workout trend. Steam Baths Enjoy all their benefits. Hidromassage Relax after your workout. SPA For the most complete and premium relaxation experience. DiRebel The new high intensity training sessions. DiR Box Overcome your limits with DiR Box. 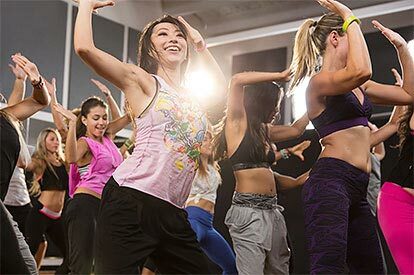 Body Combat An adrenaline rush with maximum performance. Functional Training For the ultimate full-body workout. Aprima't Do you want to lose weight? This is the ideal activity for you! Cul 10 Tone glutes, abdominals and legs. Boxing Train with three European Champions. Small Group Training Work towards specific goals in small groups. Pilates Your body and mind will thank you for it! DiR Singles&Friends Do you want to meet people like you? This is the club for you! Get your 5% discount on the fee forever and an additional discount on your registration. Only available online! 25 x 12 m swimming pool to do a few lengths or take part in a class. Enjoy a full-body workout in the new functional training cage equipped with everything you could possibly need. Equipped with 2 hydromassage areas, 2 saunas and 3 steam rooms that will leave you feeling completely rejuvenated after giving your all. With specialist functional training instructors, kettlebells, weight discs, rope climbing and much more. Why not try it out? 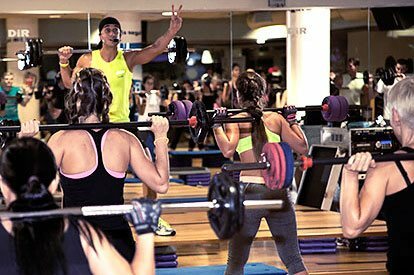 4 activity studios equipped with everything you need to enjoy the best fitness facilities in Barcelona. 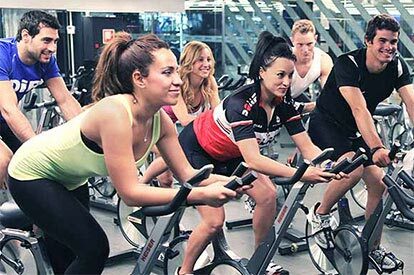 Discover the latest Indoor Cycling trends and enjoy SpinDiR like never before with state-of-the-art equipment. Enjoy a unique well-being experience with DiR Maragall’s DiR Zen. Try it once and you’ll be hooked! With a boxing ring, boxing bags and everything you need to improve day by day. DISCOVER EVERYTHING WE HAVE TO OFFER YOU! Work out in small groups to maximise your motivation! DiR Zen offers new facial treatment, diathermy and diode laser hair removal packs with prices reduced by up to 20%. New personal trainer pack promotions to help you meet your goals. Enjoy this 5 invitations of two day passes to invite your friends or family and if they join us, you will get a free month in DiR! Benefit from a free fitness assessment with a trained specialist, who will advise you how to achieve your goals quickly and safely. Find out your body type with an assessment from one of our expert nutritionists. Benefit from a DiRzen 20-minute facial or body treatment and 50% off your first purchase of any single-session service. You have available more than 100 training programs, that will fit to your specific needs and goals. Enjoy a healthy natural fruit juice at our Saibò restaurants. Enjoy a free UVA rays session to start you on your way to a perfect tan. Discover the basic information to start enjoying all that Clubs DiR offers you.